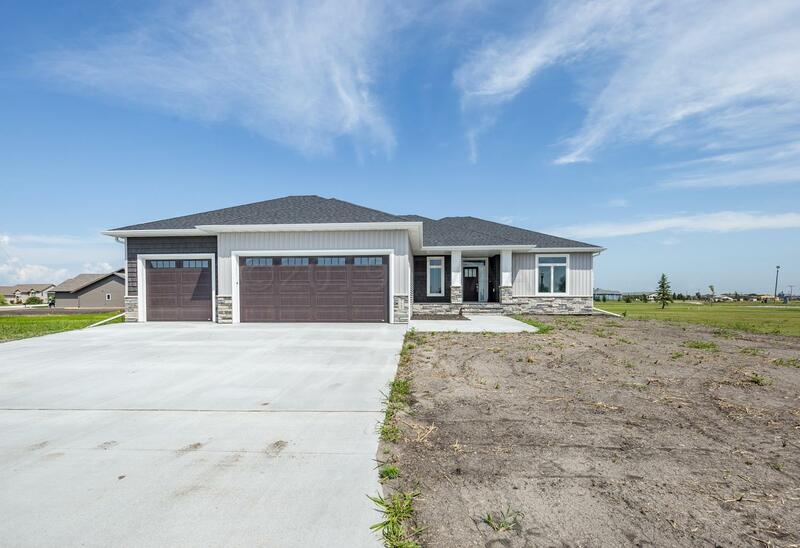 Check out this meticulously built rambler with three bedrooms and two bathrooms on beautiful golf course lot! Upgrades galore. Quartz counter tops, corner pantry, Knotty alder cabinets with painted island, soft close cabinets, raised and detailed ceiling in family room. Grand master suite with double sinks, custom walk in shower and HUGE master closet. 4th garage door is ready to access the golf course and garage is roughed in for gas heater. Rough in for bar in basement. Basement is all framed up, poured window wells, future expansion!